Gauteng's largest fresh oyster festival in johannesburg south africa. 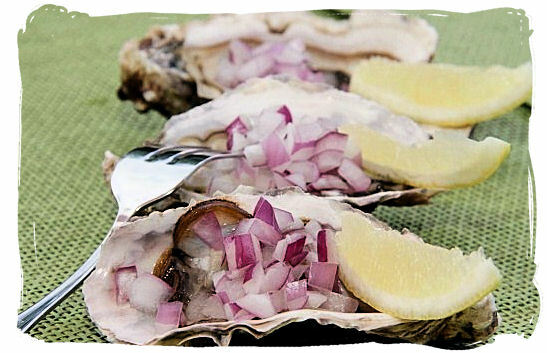 Want to know more about this famous oyster festival?... Just picture yourself breathing in the crisp air of May on a clear autumn's day, relaxing under a tree, or on the sun kissed greens while the bustle of the crowd captivates you. Take pleasure in the atmosphere while you explore all corners of the festival. Then, drift toward the soothing sounds of the violin and saxophone, creating just the right mood for a glass of wine. This is one of Johannesburg's most pleasurable and indulgent festivals. 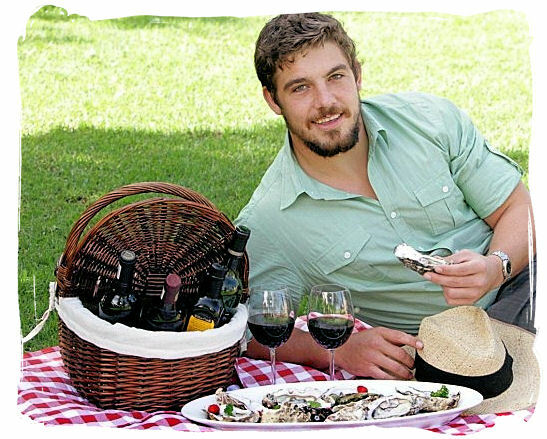 Johannesburg, 2 June, 2011 - The Brightwater Commons seventh annual Oyster, Wine & Food Festival saw 30 000 oysters served to more than 6 000 visitors over the weekend, a record number for the event. An additional 4 000 oysters were consumed this year with an 8% increase in foot traffic, demonstrating the growing popularity of the festival. 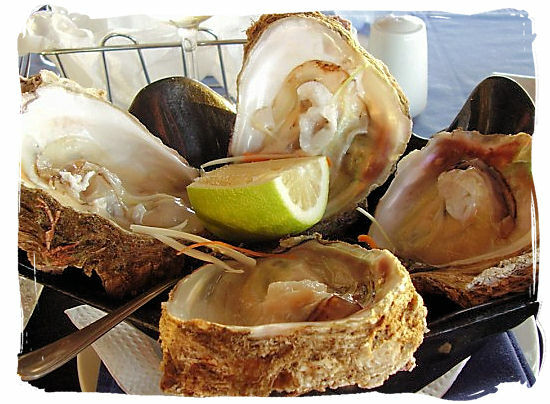 "The Oyster Festival is the largest of its' kind in Gauteng and is second only to the Knysna Oyster Festival. However, the Johannesburg event is unique in that a huge number of oysters are sold in only one venue over just fourteen hours in two days," says Marketing Manager Francois du Buisson. 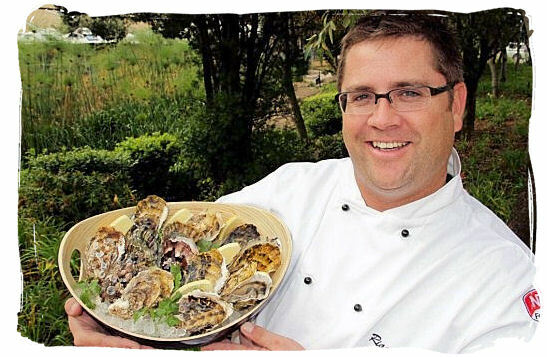 "The crowds were treated to four different medium oyster varietals as well as large oysters, served for the first time this year," says resident chef Lehan Botha. "The most popular accompaniments for the oysters were black pepper, lemon juice and Tabasco sauce and to keep up with the demand we used 360kg of lemons and 210 bottles of Tabasco. The red onion vinaigrette and sushi accompaniments were also a favorite". 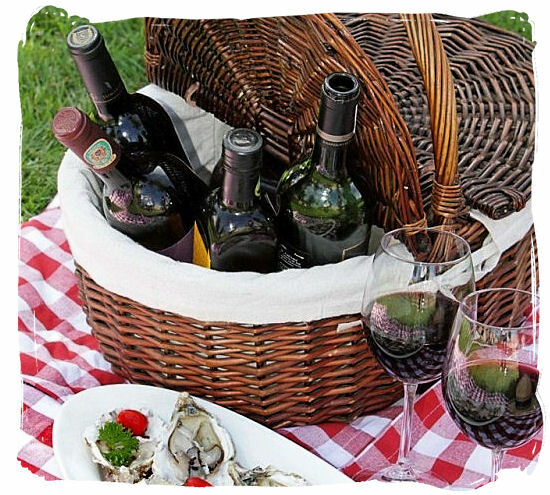 Visitors from all over Johannesburg and its surrounds flocked to the festival to soak up the warm Highveld winter sun on the grassy commons, while enjoying the diverse range of wines from 28 wine estates and gourmet foods from 22 artisanal suppliers. "5,500 wine tasting glasses were sold this year, proving that the wine is also an important element of the festival," says respected oenologist Judith Lee, who was responsible for organizing the wines and gourmet foods. "Vats, or the Very Amateur Tasting Society, reported that 600 cheese platters, 600 liver pates and 200 olive tapenades, all classic wine tasting pairings, were snapped up by discerning Johannesburg palates over the weekend." The Gourmet Food Tent was also one of the busiest sections of the event, with a diverse spread that included cheeses, olives, pastries, nougat and confectionery. Around 300kg of cheese was bought and those with a sweet tooth munched through 750 muffins baked by just one supplier. The festival catered for all tastes and the Beer Tent, flanked by tables and chairs under umbrellas, attracted a fair number of malt connoisseurs. "2,827 pints of beer were consumed this year, 55% more than last year," reports Peter Lambson, who oversaw the malt at the festival as owner of McGint's at Brightwater Commons. Situated in the heart of Randburg, The Brightwater Commons is an ideal family shopping destination with over 60 stores including restaurants and eateries, home-ware, fashion and gift stores. Unique about the centre is it's park-like setting, which includes a large grassy commons area. The commons, perfect for family entertainment, is situated in the heart of the centre adjacent to a large market place, which sports an array varied of stalls.